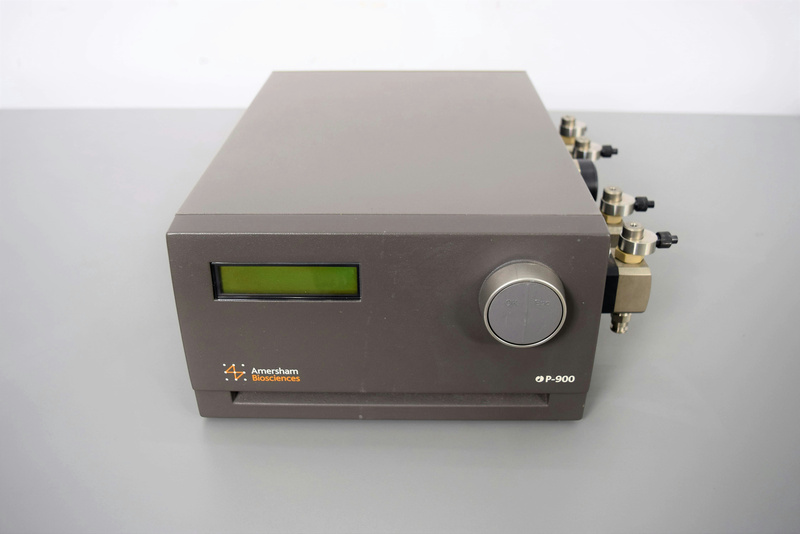 GE Amersham P-900 AKTA HPLC Pump Chromatography 18-3100-00 Analytical . New Life Scientific, Inc. Upon visual inspection by the NLS technicians, they determined the instrument's main board is faulty. The P900 can be disassembled for parts or used as a rebuild shell. It is in great cosmetic condition with minor, shallow, scratches on it. There are pump assemblies, a display, the multi-function button, and other good parts left. The technician was unable to test the pumps, but they appear to be in good condition internally/externally.